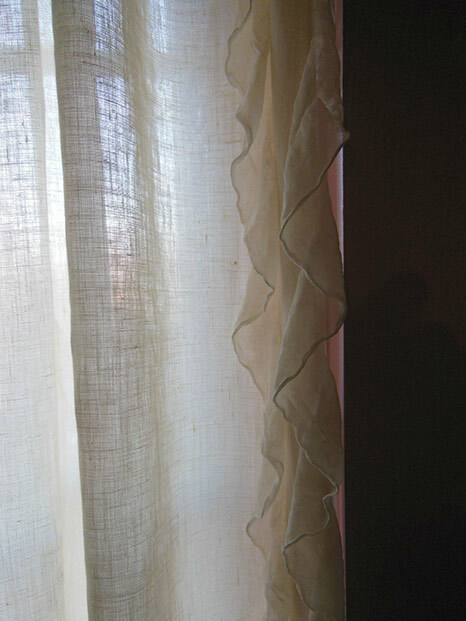 The sister to Amy, these linen curtains are adorned with a soft chiffon 2-inch ruffle along both sides. There is a 2-inch rod pocket and 1/2-inch header. Sold per Panel.